The Mackenzie offers tranquillity in abundance. With scenic flights, stargazing, hot pools, fine dining, luxury accommodation, and some great spots to enjoy a fireside glass of wine, this holiday has the perfect mix of relaxation & recreation. We think you’ll really warm to our style of winter chill. 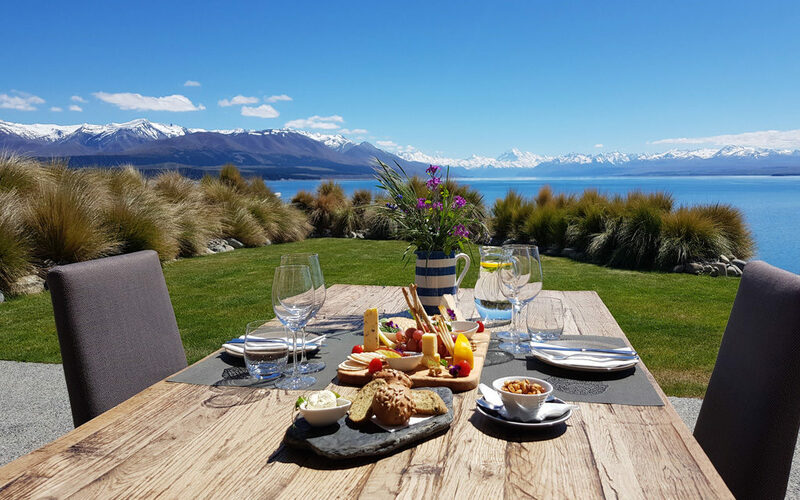 Lakestone Lodge is exclusively positioned on the southern shores of Lake Pukaki with some of the most spectacular scenery in the country. The off-grid ecolodge has been designed to maximise the panoramic views. Every room and bathroom share stunning views northward over Lake Pukaki to the Southern Alps. On calm days New Zealand’s highest mountain, Aoraki/Mount Cook, can be seen reflected in the turquoise glacial waters of the lake. In contrast, mountain storms rolling in over the alps can be viewed from the comfort and warmth of this luxurious lodge. Relax and enjoy in-house massages, gourmet meals, and complimentary bikes. Ride some of the world famous Alps 2 Ocean Cycle Trail – it’s right on their doorstep! 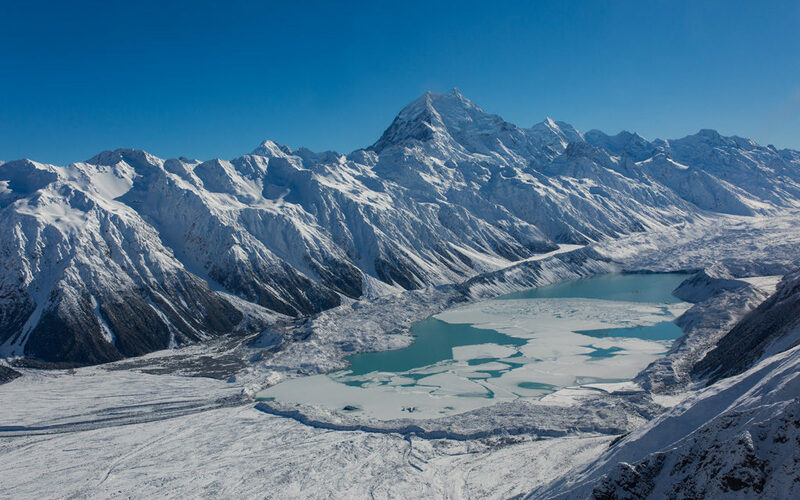 Based at Mount Cook Airport, just five minutes from Aoraki/Mount Cook Village, Heliworks offers breathtaking scenic flights throughout Aoraki/Mount Cook National Park. 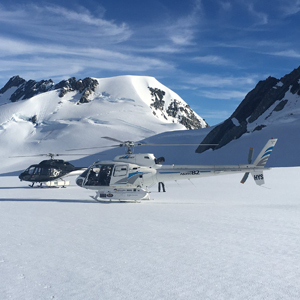 Heliworks is privileged to be able to land at a number of locations on the Tasman Glacier, New Zealand’s largest river of ice. All Heliworks flights are designed to provide the best experience for the customer. They take pride in delivering a quality product, safe, professional procedures and personalised services. All tailored to your specific requirements and exceeding your expectations. 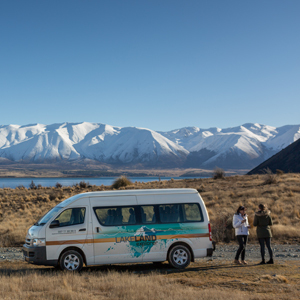 Conveniently based in the Twizel township, Lakeland Explorer are your one-stop shop for scenic tours, stargazing tours or cycle trips and bike hire. Relax, explore and discover this beautiful region with a small team of passionate locals. 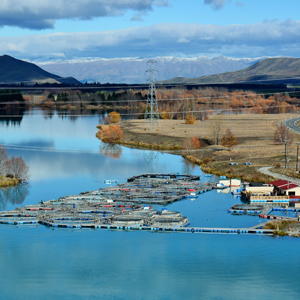 Visit lakes, historic hydro canals, salmon farms and more on half and full day tours. 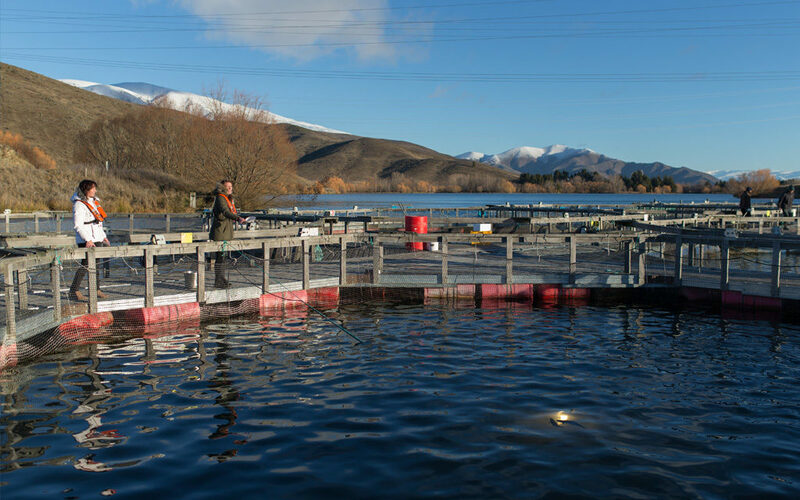 Learn more about the Mackenzie high country, sample delicious local cuisine and discover a photographer’s dream scenic location. How about a bike ride? Explore the local trails or use our shuttle service (commentary included) to go further afield. 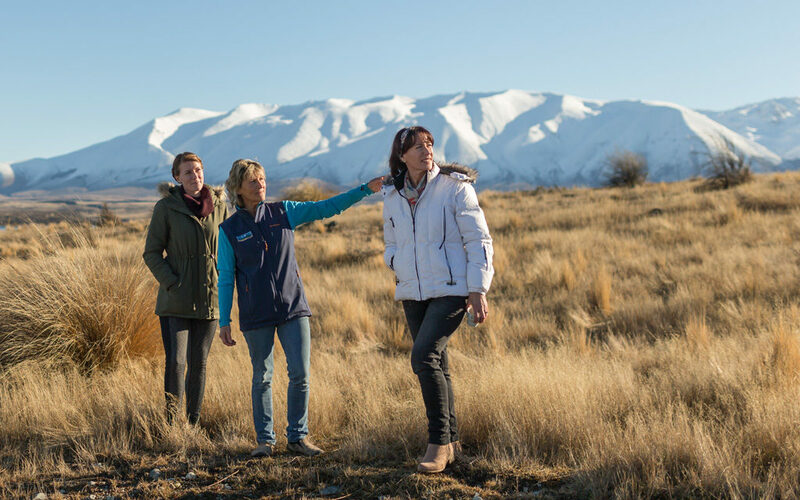 They’ll drop you off to explore a section of the world famous Alps 2 Ocean Cycle Trail or enjoy a relaxing spin along one of the picturesque Mackenzie Country hydro canals. They also offer two-hour stargazing tours – learn all about the southern stars & constellations! 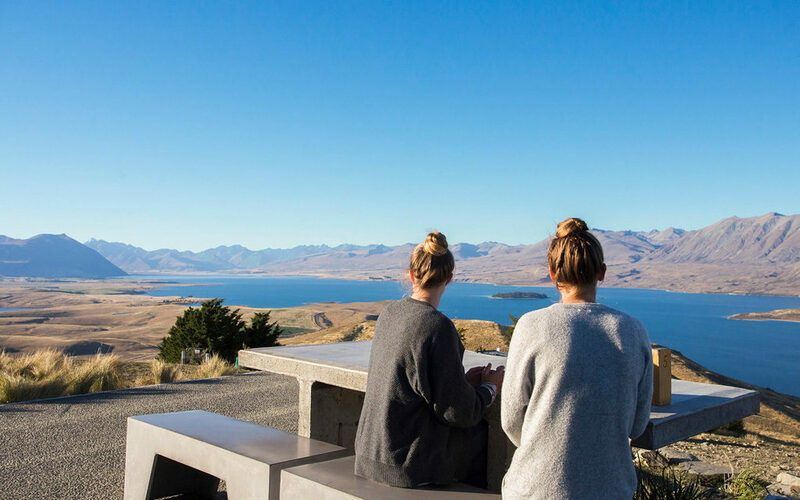 Is this New Zealand’s best view for a coffee and cake? We think so! 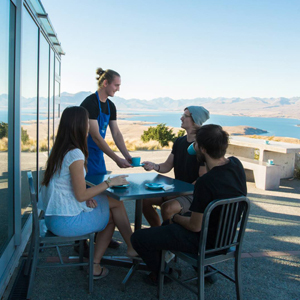 Visit the mountain-top Astro Cafe at Mt John’s Observatory for the most incredible 360-degree views of Lake Tekapo & Lake Alexandrina– plus great coffee! Fully enclosed in glass, protecting from the elements but not restricting the views the Astro Café serves fresh sandwiches made with Mackenzie high country bread, delectable cakes and slices to satisfy the sweet tooth, warming soup in winter and cooling smoothies in summer. For those wanting to stretch their legs you can take the Mt John walkway (45min one way) and walk up. Start the trail from outside the Tekapo Springs carpark.